The GK1580TQR5 kit combines the compactness and light weight of the Gitzo Traveler System with the stability and size of a regular Mountaineer Series 1 tripod. It is dedicated to the high-end user seeking for a highly portable support with no compromise. The GT2542T is a strong, stable yet extremely compact and lightweight carbon fibre tripod, designed to balance uncompromising professional support with ease of transport for travelling photographers. 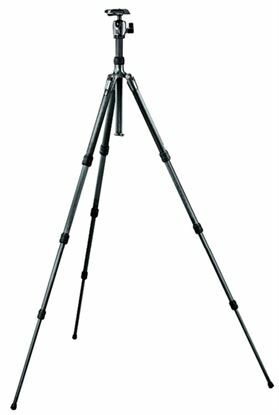 GT1542T tripod combines the compactness and light weight of the Gitzo Traveler System with the stability and size of a regular Mountaineer Series 1 tripod. It is dedicated to the high-end user seeking for a highly portable support with no compromise. The GT1544T is a strong, stable yet extremely compact and lightweight carbon fibre tripod, designed to balance uncompromising professional support with ease of transport for travelling photographers.